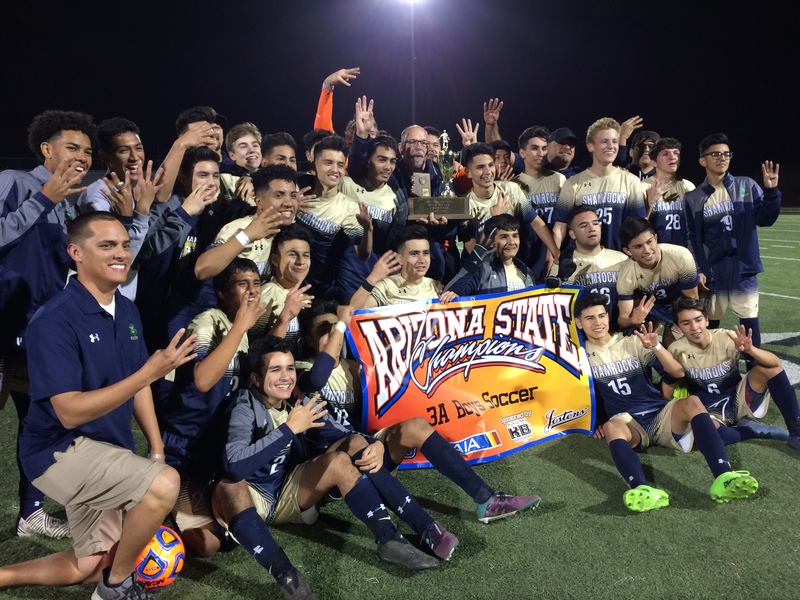 Yuma Catholic looks unstoppable as it shoots to become the first Arizona high school soccer program for boys to win five consecutive championships. It’s two wins away from completing its drive for five. Northwest Christian will attempt to derail the Yuma Catholic train in the 3A Conference semifinals Tuesday at Williams Field High School. Looking at Yuma Catholic’s gaudy statistics, it may behoove Northwest Christian to sit back, defend its goal and hope for the best on counterattacks. But even that strategy appears daunting against a program that’s conceded just nine goals in its past 45 matches. Plus, Yuma Catholic hasn’t lost to a conference opponent since the state semifinals of the 2013-14 season. The last conference program to defeat the Yuma boys was Coronado, which will play Veritas Prep in the nightcap of the state semifinals at Williams Field. Northwest Christian junior Michael Huss, the state leader with 46 goals, can’t be ignored, but he’ll need help from his buddies when they face a roster filled with championship experience and 14 seniors. With most of its games well in hand, Yuma Catholic has shared playing time and goals this season. So far, 16 players have found the net for the Shamrocks. But the team’s No. 1 goal-getter is 230-pound Eleutero Gutierrez, who’s powered his way to 112 career goals. The forward can pick up a 4th ring before graduating. If they win their final two games of the 2018-19 season, the Shamrocks will end their 5-year run with a 91-3-2 record and extend their win streak to 48 matches. Jonah Franco’s 16 assists leads the Shamrocks, whose goal against average is .061. Yuma Catholic has a 7-1 record when it reaches the title game. It is second in the state in titles won. Blue Ridge leads with nine. … Huss’ 15 assists and Jordan Ehlers’ 10 assists are the leaders in that category for Northwest Christian (16-2-1), the No. 4 seed in the 3A tourney. … The top four seeds advanced to the 3A semifinals. … Richard Cardenas is working his magic in his first season as Veritas Prep’s soccer coach. The team won 10 more games than last year and has won more games (15) than at any point in the program’s history. However, Cardenas and his boys might need to dig deeper into their bag of tricks to beat their semifinal opponent, Coronado, which defeated Veritas 5-1 on Jan. 18. Juniors Jason Nunez (33 goals) and Marshall Briggs (13 goals) are the team’s point leaders. Freshman Brody Richter is third on the team with 23 points. … Coronado has been a steady force in AZ’s soccer community since coach Nick Barker took over in the 2013-14 season. The program won championships in 2017 and 2014. 4A Saguaro, 6A Highland, 6A Desert Mountain and 3A’s Arizona College Prep are the only teams that handed 14-4 Coronado its only losses of this season. Last year, Casteel negated a rare double-double for Yuma Catholic. The Yuma Catholic girls dropped a heartbreaking 2-1 decision to Casteel in the 3A final, keeping the Lady Shamrocks from joining Yuma Catholic’s boys as champions. This season, the girls want to prove they can bring home the goods just like the boys. They outscored their first two playoff opponents 15-1 to help them clinch a Wednesday semifinal meeting against Anthem Prep at Williams Field. This year, Yuma Catholic (16-1-1) is the No. 1 seed. It hasn’t played Anthem Prep yet this season, but if it advances to the final, Yuma Catholic will likely run into another tough championship counterpart. Fountain Hills and Northwest Christian, the other 3A state semifinal teams, only lost by a 2-1 margin when they each played Yuma Catholic in the regular season. The leaders for Yuma Catholic are F/MF Ariana Leamons, F/MF Natalie Camarena, MF Isela Estrada, goalkeeper Danisia Ellin, and defender Katie McArdle. … Defeat Yuma Catholic and Anthem Prep (12-2-1) will return to the title game, which it won in 2016. Anthem Prep is averaging 5.8 goals per game, but its defense delivered in the one-goal victories against first and second round opponents Pusch Ridge and Trivium Prep, respectively. Soph. Cailyn Crandall’s 20 assists usually end up at junior Olivia Friedman’s (34 goals) feet. … “Team chemistry. Good blend of younger and older players. Tenacity to work hard and achieve goals. 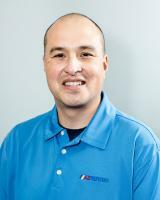 Work through setbacks,” said Northwest Christian coach Jeff Penzone about his No. 2-seeded team. The back line’s commander, Logan Maszton, and crew and sophomore goalkeeper Bethany Heater are allowing just 1.062 goals per game. “Logan is a solid player who leads by example,” Penzone said. “She’s versatile and can fit in anywhere on the field.” … That championship experience of Fountain Hills delivered in the state quarterfinals, when it defeated previously unbeaten Gilbert Christian 4-3 in penalty kicks. “This team has a unique combination of talented underclassmen and seven upperclassmen with state championship experience,” coach Matt Wiehl said. “They have experienced success and this remains the standard mindset and culture in our program.” Fountain Hills won the 3A crown two seasons ago. But not everything has turned up roses this season. The team hasn’t been at full strength for different reasons. Five different players, Morgan Soloman, Rori Smith, Hailey Devore, Parker Sweet and Ashby Owen, have each scored 10 or more goals, led by Owen’s 28 goals. Center back Taylor Helm and goalkeeper Bayle Dumitrescu handle the shutting down duties.